With scientific studies pointing toward the effects of both interior and ambient light radiating from devices influencing both short and longterm health, companies are beginning to design lighting with some forethought and features servicing the minutes producing a restful night’s sleep. An example of this trend toward bedroom lighting factoring environmental design is the newly announced Casper Glow, a small light designed to realign the light near the bedside in harmony with our natural circadian rhythms. At quick glance, the Casper Glow’s soft polycarbonate cylindrical outer shell shares a striking semblance to the Apple HomePod, albeit a bit shorter and narrower than its audio emanating cousin. In both cases, the small cylindrical design presents an unobtrusive, yet modern presence placed upon a surface and/or in corners of any room. 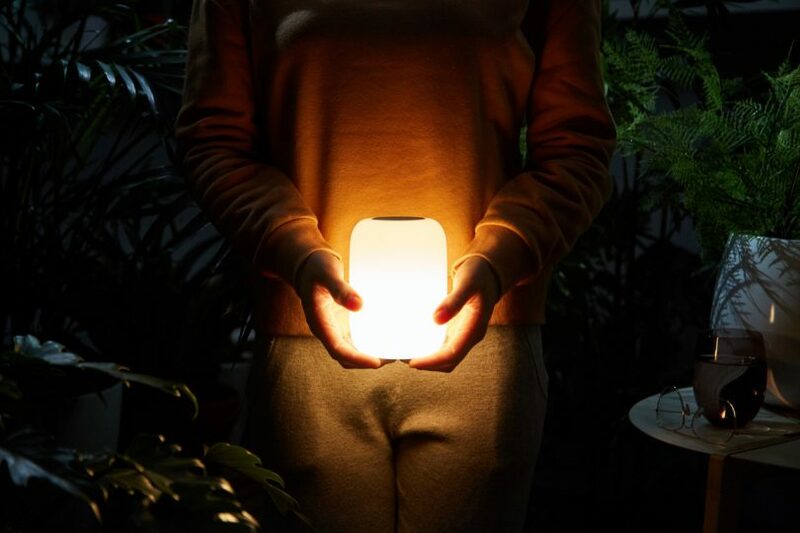 The smaller shape, alongside its cordless design makes the Glow portable, with a rechargeable system also operating as an occasional lantern if needed (or used outside the bedroom as a temporary ambient light source).